Sir Ernő Lazarovits is Board member of the Religious Counsellors of the Sovereign Order of Saint John of Jerusalem, Knights of Malta, Federation of the Autonomous Priories (KMFAP), Head of Foreign Affairs of MAZSIHISZ, and survivor of the Mauthausen and Gunskirchen death camps. In 2007 Sir Ernő wrote a book about the horrors and hardships he suffered during the Holocaust with the title: “Journey through hell”. The book review – which was published also in German language – took place in 2010 at the Hungarian Embassy in Vienna, where the representatives of our Knight Order were also present. 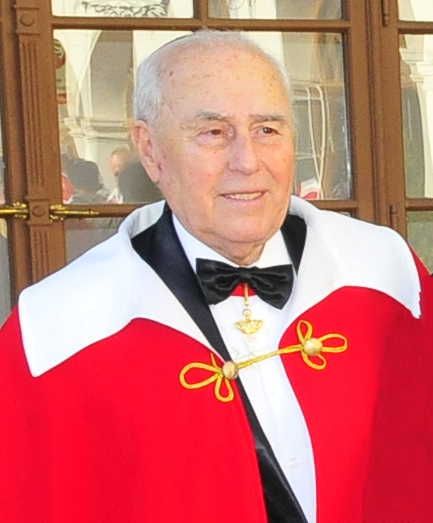 In November 2011 Sir Ernő Lazarovits was greeted at the highest level in Austria. H.E. 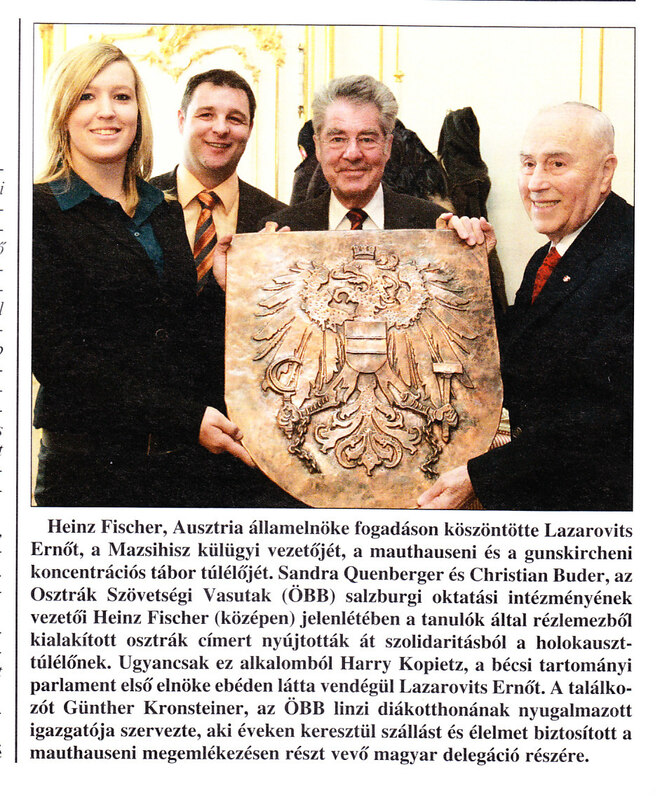 Heinz Fischer, the State President handed over personally the Austrian Coat of Arms – which was made of copper by the Austrian students – as a symbol of solidarity during an exclusive reception, which was organised in honour of Sir Ernő in Vienna. H.E. Harry Kopietz, President of the Provincial Parliament in Vienna invited Sir Ernő Lazarovits for lunch, who often visits Austria officially as well as privately. Congratulations on the recognition and we wish you good health. Stay still such an optimistic and cheerful man, how we know and love you! Your life and humanity shall be a role model for all Knights and Dames of KMFAP.